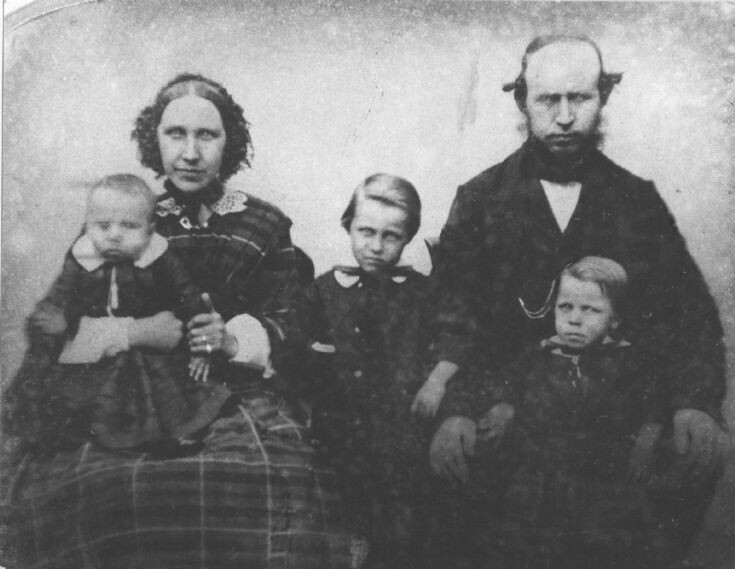 David Mackenzie Merchant of Avoch 1860 with his wife Jane nee Junor and children. Donald in centre David on mothers knee and Hector in front of father. Janet died aged 29 of TB and is buried in Avoch parish church. Donald built Rose Cottage Avoch. Hector developed mental illness & died at Hill of Fortrose Farm. David the baby emigrated to Canada & has many descendants there.